Pouring rain, icy cold, light winds: lucky you, if you have the right work jacket for the weather. The choice is just as diverse as the weather: parkas, waisted jackets, softshell jackets, pilot jackets – anyone seeking a matching work jacket will be surprised by the variety. The way to finding the perfect jacket for your needs requires a little system, but just a few simple steps will take you to your goal! Step 1: Certification – yes or no? Whether you require a work jacket with or without certification depends on your profession, because in some jobs certified work jackets are mandatory. The certification is confirmation that certain safety standards have been fulfilled. But this does not mean that non-certified jackets are of a lesser quality: they simply fulfil other requirements and are used in other areas. Anyone who works in busy traffic areas or close to traffic flows requires a jacket with this certification – for instance in the road construction sector, but also in agricultural and logistics sectors, and for certain tasks at airports and ports. The required class depends on the speed of the passing vehicles. Work jackets that fulfil this norm are tested with respect to their protection against the wet. 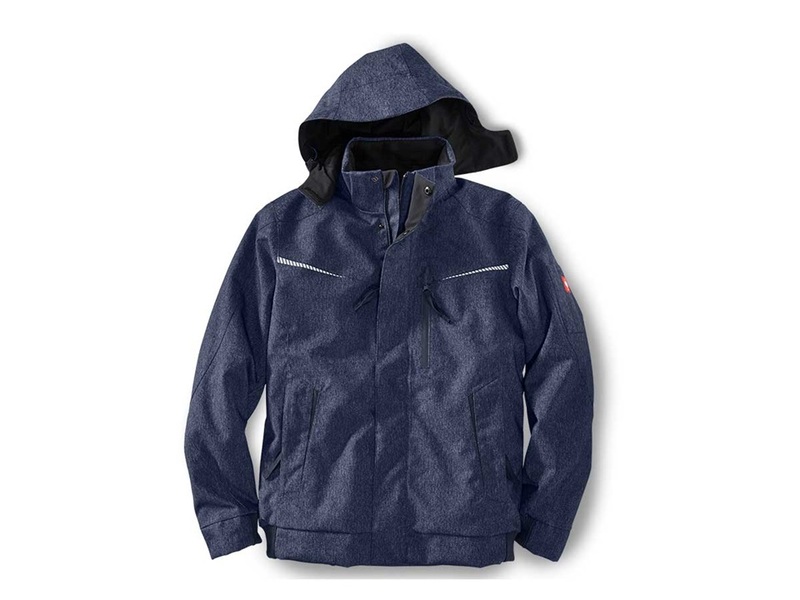 The protection class is based on the waterproofness and breathability of the jacket. Anyone exposed to heat and flames requires a work jacket with this certification. A word of caution: the norm does not apply for welders and fire fighters! Welder protection-certified clothing protects the wearer against contact with small quantities of liquid metal, flames and UV radiation. In some circumstances, electrostatic charging can generate sparks and cause fires or explosions. This is why work jackets that prevent the risk of antistatic charging are stipulated for some work areas. Please also remember to wear antistatic safety shoes to effectively reduce the risk of charging. Work jackets of this protection classes offer limited protection against contact with small quantities of fluid chemicals. If you work in a corresponding hazard area, please also remember to protect other parts of your body. You will find e.g. matching protective goggles and work gloves in the engelbert strauss online shop. When working in areas where electrical arcs are possible, special protection against thermal damage and burns is stipulated. Work jackets certified to this norm correspond to the specified protection level. Round off your Outfit with matching work gloves and a helmet for best possible protection at work. Certified work jackets are not necessary in most areas – the requirements here are more oriented on cold and weather protection. The protection and functions of the jackets may vary as required: for instance, do you need a jacket that keeps you really warm? In this case you need to opt for models with the insulating ISOFILL® and FIBERtwin® textiles like the winter softshell jacket e.s.motion 2020 that are highly suited for this purpose. If you need a lot of freedom of movement, we recommend a work jacket with 4-way stretch features like the thermaflor e.s.dynashield jacket. Anyone seeking a work jacket that is more than just durable will love the engelbert strauss jackets such as the functional waisted jacket e.s.dynashield with bxeric® double weave textile. Intensive tests have proven that this material is three times as durable as cotton! engelbert strauss work jackets also have numerous features and details aimed at improving your work life and personal protection – e.g. 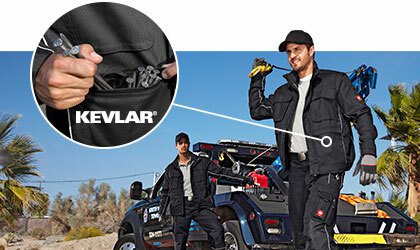 the KEVLAR®-reinforced jacket pockets on the work jacket e.s. prestige, which no tool can tear that easily. 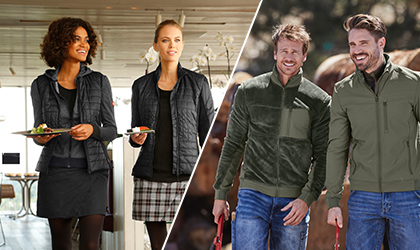 Ultimately, your personal preferences and needs are what makes a model perfect: be it warm, breathable, water-repellent – the engelbert strauss online shop has jacket types for all work areas! Step 2: Where is the jacket used? Indoors, outdoors – or both? It is important to consider where you will be wearing your workwear when you select it, and of course, this also applies to the correct work jacket. Do you usually work indoors or outdoors? 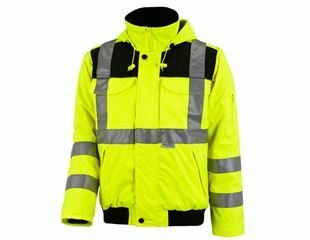 People working in the forestry, garden landscaping or road construction sectors or any other sectors where most of the time is spent outdoors need weatherproof work jackets. Visibility is also important for people working in road construction or the forest, which is what the high-vis jackets are for. If you move a lot at work and are usually inside buildings (like workers e.g. in gastronomy or medical professions), you will probably need a light jacket with good climate comfort qualities that also affords you plenty of freedom of movement – just like the engelbert strauss work jackets or work softshell jackets. Bodywarmers, too, are highly suitable for working indoors: they offer great freedom of movement and also keep the wearer adequately warm. 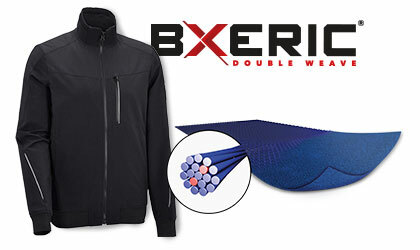 Anyone who alternates frequently between indoors and outdoors or whenever the weather is changeable may find that a 3 in 1 functional jacket is the solution: this combination wonder comprises a waterproof outer jacket with a warm fleece inside jacket – depending on needs, the layers can also be worn separately from each other. As the saying goes: ‘There is no such thing as poor weather – just unsuitable clothing’, and it’s true! Choosing the right work jacket depends heavily on the weather conditions in which it is to be worn. What conditions do you face at work? Pouring rain, wet fog – anyone exposed to the wet at work wants one thing above all else: that the moisture does not penetrate their clothing! Rainwear by engelbert strauss is guaranteed waterproof – and pleasantly breathable despite the impermeable protection layer. This has been confirmed in extensive tests which is why the jackets are certified to the corresponding norms DIN EN 343:2003 + A1:2007 + AC:2009 Kat. 3/3. Many of the engelbert strauss rain jackets are also manufactured with the special dryplexx® extreme functional fabric: lightweight warm fleece lining on parts of the body that are sensitive to the cold, additional windproofness and breathability – protection doesn’t get better than this. Working at sub-zero temperatures is hard enough, but quite manageable if you are packed warmly enough in the right winter jacket. engelbert strauss winter work jackets keep you warm, protects you from the elements and also transport all moisture created inside to the outside – for optimum climate comfort. High-quality functional materials like ISOFILL® and FIBERtwin ensure maximum thermal insulation, breathability and that the jacket is still lightweight and comfortable despite its features. Do you need protection against very cold and extreme conditions? In this case, opt for the proven multi-layer ‘onion principle’! Sometimes the weather is very unstable and you need good workwear that will react flexibly to the changing conditions. For instance the engelbert strauss 3 in 1 functional jackets: the outer jacket is worn when it is wet, the inner jacket when the sky is overcast. If the weather is wet abd cold, both layers can be combined. Conditions can also vary greatly when you work indoors: some people move constantly from indoors to the outdoors and vice versa, others move around a lot, some people tend to be seated and even the room temperature can vary. Therefore, good indoor work jackets have these properties: optimum heat exchange, perfect climate regulations, maximum freedom of movement. 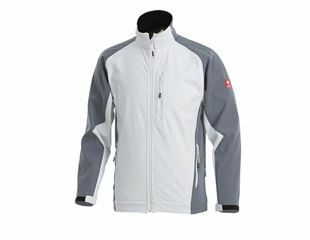 The engelbert strauss online shop offers many models with these properties – be it jacket, bodywarmers or even pullovers. The thermostretch® and clima-pro® function equip these textiles with freedom of movement and climate comfort. One proven method when dressing for very cold and unstable weather is the onion principle: Several thin layers of clothing keep the body at a constant ‘operating temperature’. Whilst the climate-regulation basic layer (e.g. the e.s. functional long-sleeve thermo stretch-x-warm) removes any moisture created to the outer layers, the middle thermal layer keeps the body warm and insulated: high-pile products such as the Microfleece Troyer dryplexx® micro are suitable for this, because fleece jackets are elastic and are available in various thermal levels. The outer layer is responsible for the climate comfort and optimum weather protection: winter jackets like the functional jacket e.s.motion denim, double jackets or 3 in 1 functional jackets protect the wearer against the pouring rain, icy cold and fog. Here, engelbert strauss relies on the proven dryplexx® functional fabric that makes jackets very breathable and climate comfortable. Fleece is now an integral part of all outer garments. It is soft and comfortable, and has one specific tasks: to keep the wearer warm! As fleece jackets do not restrict freedom of movement, they are often selected by people who move a lot at work. Due to their good thermal properties, they are also frequently worn below over-jackets or in draughty places indoors. 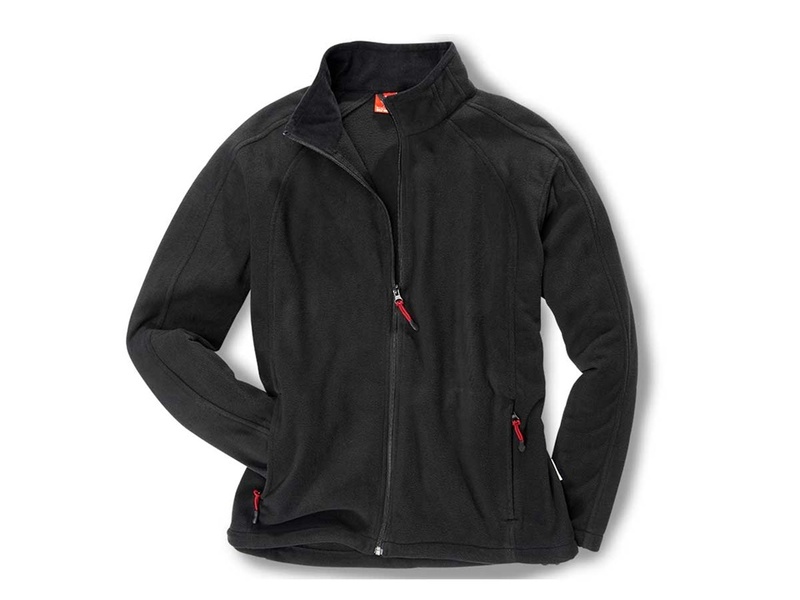 As any easy-care allrounder, the fleece jacket is often an elementary part of the basic work outfit. It is hardly surprising: fleece jackets are easy to stow away and hardly crease, making them perfect for keeping them in the car, transporter or can etc. Warm, lightweight, unrestricting – these are terms used to describe softshells, the allrounders for outdoors. They are windproof, breathable and water-repellent. Depending on the features, they also offer excellent protection against the cold. In addition to the very lightweight softlight and softshell jackets, engelbert strauss also supplies warm and lined winter softshell jackets. The range also includes high-vis-softshell jackets. Thanks to their smooth, easy-care surface and excellent wearing properties, softshell jackets are becoming more and more popular for wearing at work. A successful product from the outdoor field! Outdoor jackets are designed to be extremely breathable whatever the weather or level of exertion. 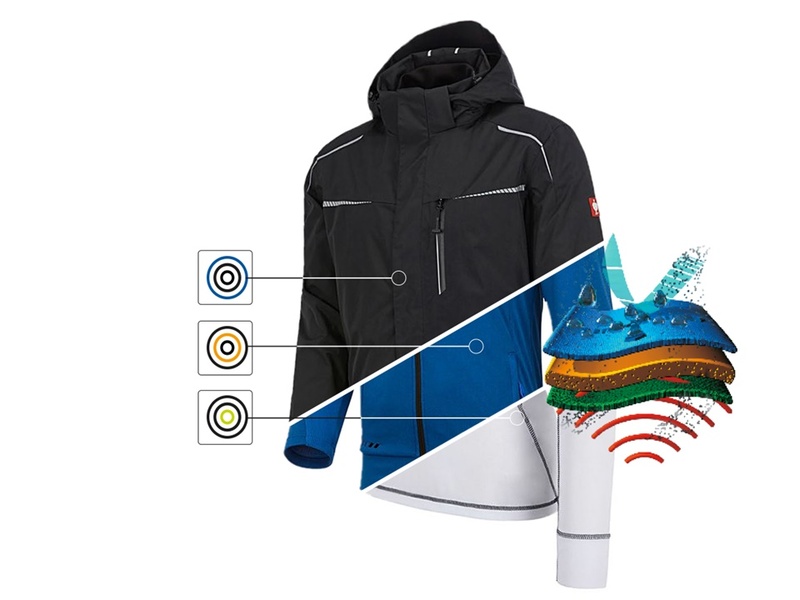 Two full-value jackets combined into one create a multi-functional clothing system. If the waterproof outer jacket is no longer required when the sky clears, the warm fleece inside jacket can simply be worn on its own. Perfect prerequisites therefore for use as a work jacket! 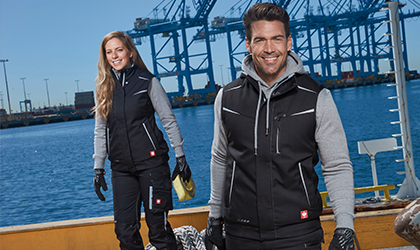 To satisfy all the requirements of the world of work requirements, the engelbert strauss 3 in 1 jackets are equipped with durable material and are available in the typical colours if the various sectors. 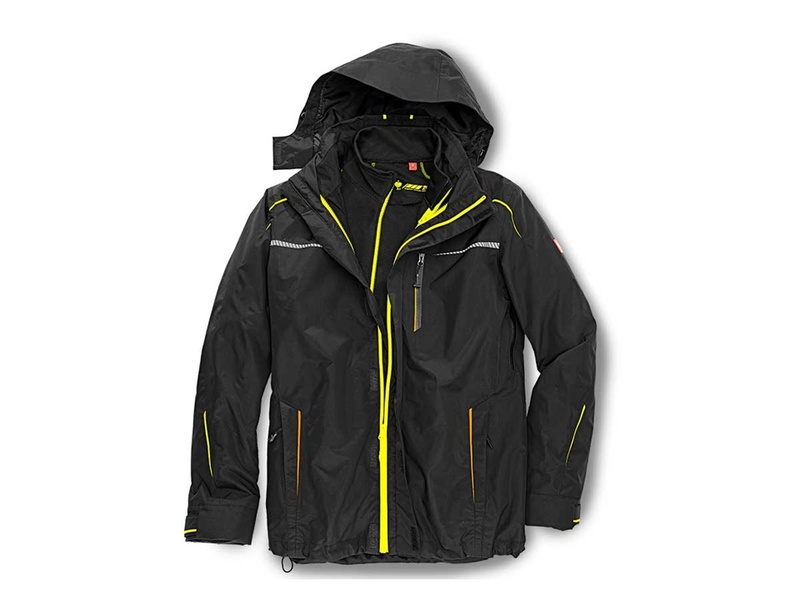 Bestsellers, like our 3 in 1 functional jacket e.s.motion 2020 for women and men have also been tested according to DIN EN 343:2003 + A1:2007 + AC:2009 Kat. 3/3. These special norm for workwear conform the quality of the waterproof and breathability properties under mechanical loads. The terms rain jacket is used for a number of our work jacket models. 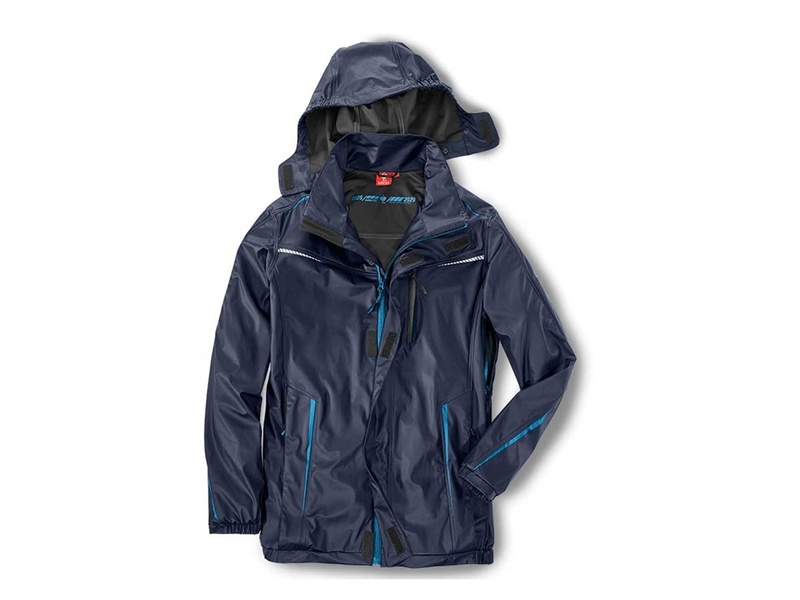 As the name suggests, typical rain jackets have a primary function: to protect against the rain. A classic oilskin garment will do the job; however our rainproof work jackets not only keep the wearer dry from the outside, but also from the inside, too. In compliance with the European norm DIN EN 343:2003+ A1:2007 + AC:2009, the waterproof and breathability properties of the engelbert strauss rain jackets are tested under standards loads in the work world. 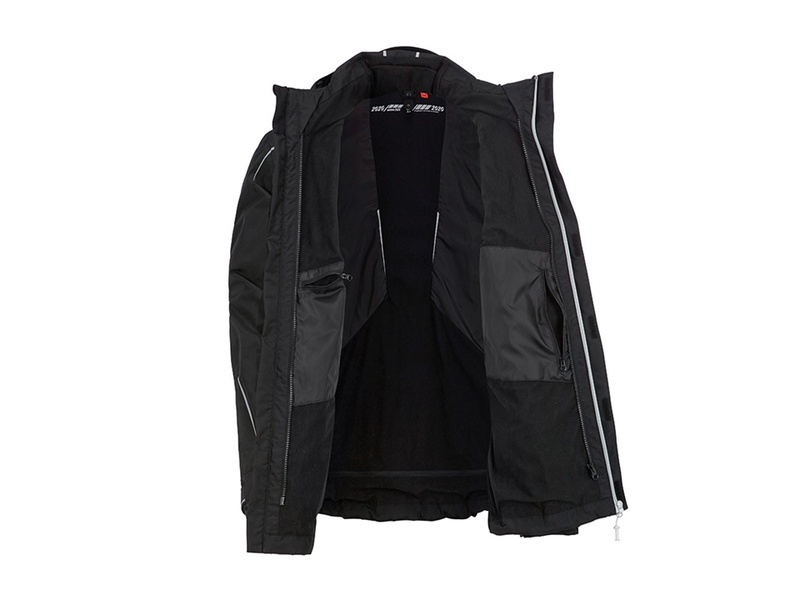 At the same time, no compromises are made with respect to day-to-day wearing and climate comfort: thanks to the breathable dryplexx® functional fabric, the wearers of the engelbert strauss rain jacket do not break out in a sweat when they move, and are therefore protected from moisture from the inside and the outside! Protection against the cold – this is the primary task of winter jackets. The body needs urgent support when exposed to permanent frost and cold. The demands made of winter work jackets are high! They need to offer the wearer warmth, protect him from the weather and transport any moisture created inside to the outside. Using various inner lining materials, winter work jackets protect the body against seeping cold. Down is a popular lining material, that warms well although it is quite voluminous. To offer warmth without volume, engelbert strauss used ISOFILL® in various thermal levels as a lining material. This elastic inner lining is used on both the engelbert strauss winter softshell jackets and also in the e.s. winter blousons and winter parkas. First and foremost, work jackets in high-vis colours have one task: to enhance the visibility of the wearer. The relevant norm here is the DIN EN ISO 20471 which defines the requirements for protection clothing. The class of fluorescent and retroreflective materials and/or backing material is assessed from 1-3 (3 is the highest class). 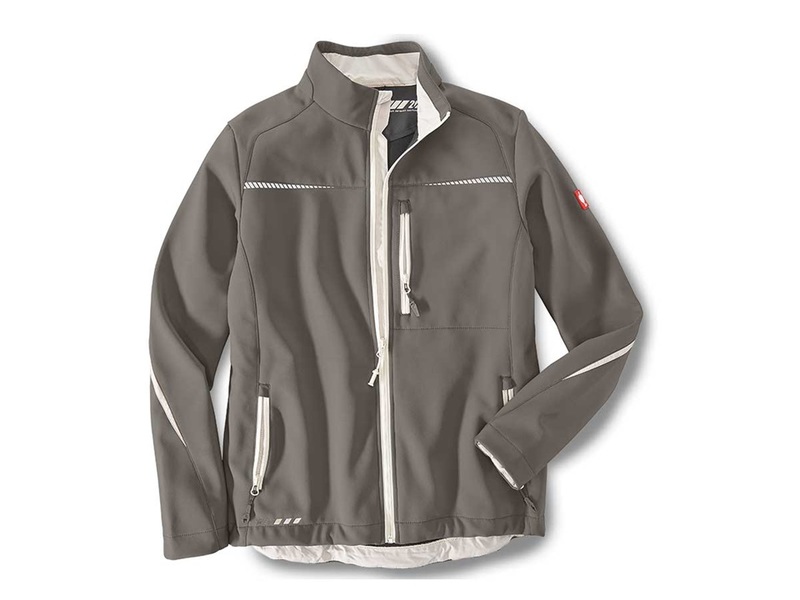 Among the certified jacket range, engelbert strauss also offers a wide range of various materials, styles and models. 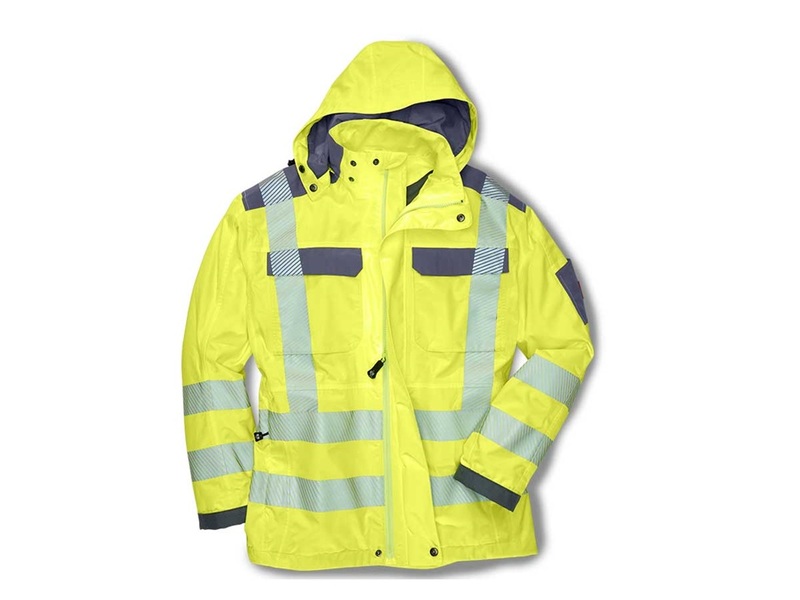 For instance, the waterproof high-vis-functional jacket e.s.prestige is also certified to DIN EN 343:2003 to ensure excellent weather protection. The program also contains breathable softshell jackets for women and men in high-vis colours. Fleece jackets in high-vis orange or high-vis yellow are very popular. The waisted jacket is a classic workwear item. It has been used to round off trousers and create an complete outfit for many years. The waisted jacket has one important function in particular: storage space! Breast pockets, side pockets and plenty of pockets on the sleeves and inside the jacket ensure that all tools, your phone and other small parts can be stowed away safely. In most cases the waisted jacket is made of the same material as the trousers, usually a mixed fabric made of cotton and polyester. 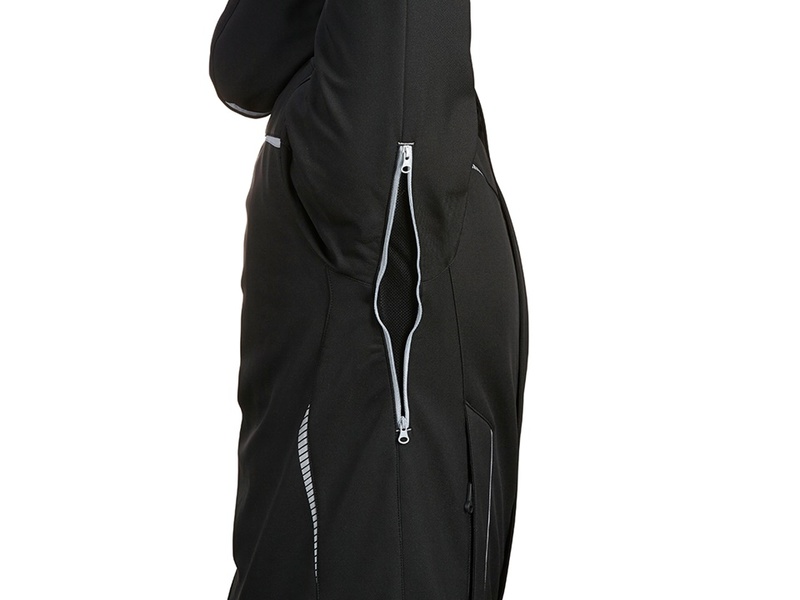 The waisted jacket does not have climate or weather protection functions. Pilot jackets have never gone out of fashion in the working world. These cool flying jackets from the 50s are the lined version of the waisted jacket. The pilot jacket is currently enjoying a comeback in the fashion world. Thanks to the casual blouson design, these jacket types are easy to combine and always lend the wearer a sporty look. Work jackets in a pilot style are especially popular thanks to their many pockets and durability. Pilot jackets by engelbert strauss are available in different models: as a winter jacket with a warm faux fur lining and faux fur collar, in a trendy denim look with soft ISOFILL® winter lining, with or without a hood or even as a high-vis pilot jacket as part of the personal protective equipment. One striking feature of these sporty work jackets is the blouson style with the wide hem for a perfect fit. We guarantee that men and women looking for the right pilot jacket will not be disappointed by the engelbert strauss online shop: as far as the cool winter pilot jacket e.s. image goes, you can choose, for example, between 10 colours and the sizes 2XS to 6XL. Anyone seeking more freedom of movement than most work jackets offer despite their elastic features, should opt for a bodywarmer: With the almost unlimited free movement range of the arms, the work bodywarmer is just as good as its long-sleeve counterparts. Be it the water-repellent, breathable and windproof softshell bodywarmers through to the elastic thermo-stretch bodywarmers – in the engelbert strauss online shop you will find models of the highest quality for any task. 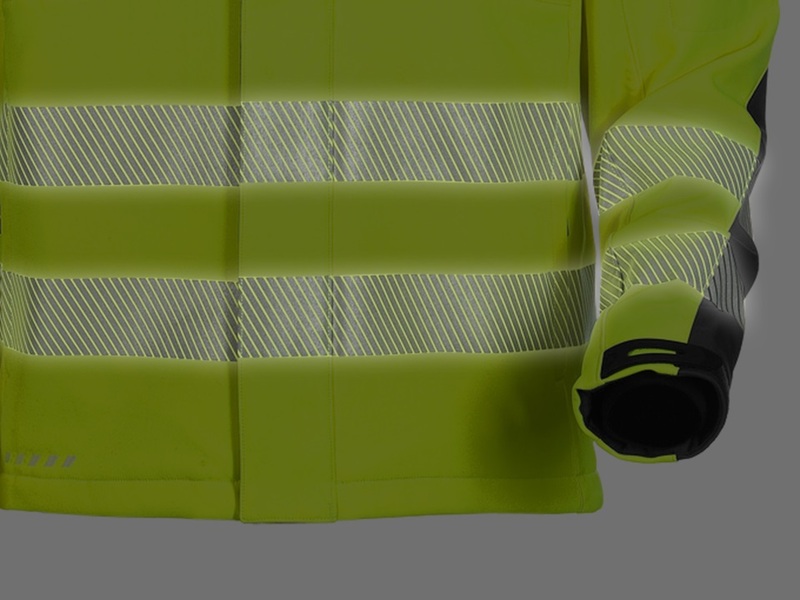 And, of course, the range also includes the high-vis bodywarmer with the high-quality safety reflectors, which is available in classic orange or high-vis yellow, and also in a bright trendy colour combination. Be it the breast and inside pocket or the side pocket and phone pocket: each work jacket has its own combination of pockets. The one that is right for you depends on what you need to stow away: larger pockets like the side and breast pockets are perfectly suited for various manual tools that you need to access quickly. Some models, like the bodywarmer e.s.image, even have extra pen pockets. Today, the phone pocket is a must and is therefore one of the basic features of many work jackets. Hood – yes or no? Perhaps the answer is ‘sometimes’! And that is possible, too, because many of the engelbert strauss jackets have hoods that can easily be detached or stowed in the neck – for example in the e.s. 3 in 1 functional jacket. Whilst winter and rain jackets always have hoods, work jackets don’t necessarily need them because they are designed for milder weather or working under roofs. Visibility and safety often go hand-in-hand: For instance, anyone working on roads needs to be visible to passing vehicles. This is why many engelbert strauss work jackets and bodywarmers have high-quality 3M Scotchlite reflectors. The material is exceptionally good at reflecting light and enhancing passive safety. The perfect work jacket is adapted to your profession and the connected typical movements. Jackets by engelbert strauss are therefore equipped with various comfort features that help at work every day. If, for instance, a lot of your work is carried out in a lying or a supported position, we recommend a work jacket with reinforced elbows and lower arms. This not only protects these body parts, it greatly facilitates your work. Vents in the back or mesh sections under the arms also offer additional climate comfort. Ultimately, it is important that you feel good at work! Velcro fastener or zip, press stud or magnetic button: the jacket and its pockets have a variety of fasteners depending on their function. 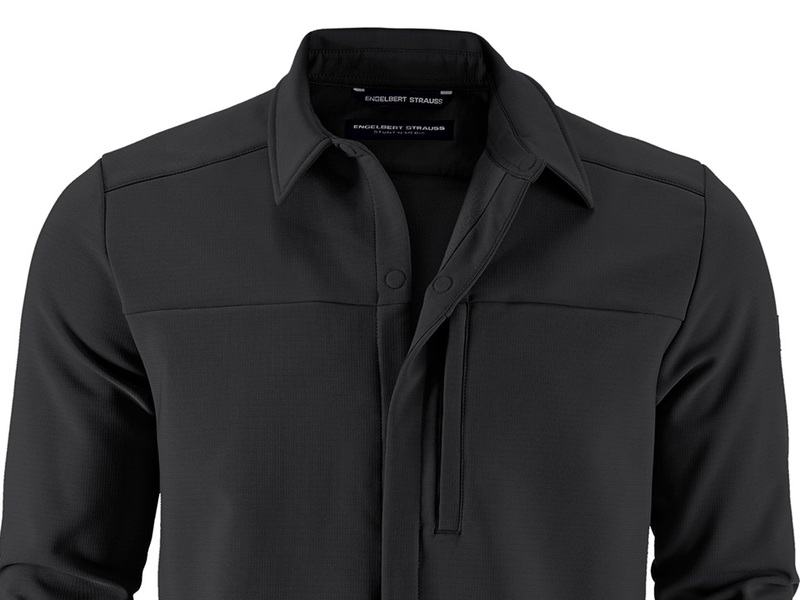 For instance, the press studs of the e.s.industry waisted jacket have been deliberately hidden so that they do not scratch sensitive workpieces at work – ideal for industrial specialists. In contrast, the jacket pockets of the Stunt’n’Media collection are equipped with high-quality magnetic buttons thereby allowing uncomplicated and secure fastening. engelbert strauss uses zips from YKK, the world’s leading manufacturer of zips, because of their function, durability and low wear properties. Craftsmen and women need to work together in teams, and teamwork needs teamwear! At the same time, everyone has their own personality, a factor engelbert strauss accommodates in all its designs: be it collections for fashionable team outfits and an extensive range of colours and sizes, there is something for every style. In addition to all protection mechanisms and functions, the perfect work jacket also needs to look good and suit you! The engelbert strauss range contains great jackets for men, women jackets with a feminine cut and tailored fit, and also children’s jackets so that the little ones are also equipped for what every adventures may come their way. Have you found your perfect work jacket? Then just complete your look with the matching work trousers and suitable safety shoes for ideal all-round protection and a cool overall style. This is made very easy by the Mix & Match overview that is found on all engelbert strauss product pages: it shows you immediately the matching optical and functional supplement to your favourites – time-consuming searches are a thing of the past! To ensure that you and your colleagues are clearly recognisable as a team on the building site, make use of the engelbert strauss logo service and personalise your outfit with the company logo. This is teamwear today! Find the work jacket you need by using the product filter in the engelbert strauss online shop. You can use the checkboxes to preselect lots of relevant data such as size, material, gender, features, colour etc. 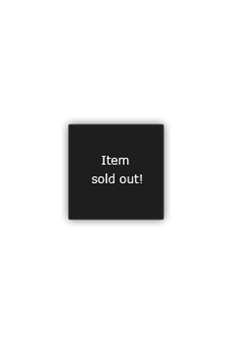 The matching articles are reduced and displayed according to your criteria. You can select and filter specifically according to collection lines, norms and care properties here. The information in the size table will help when selecting the correct size. Finished! Now there is nothing standing between you and your perfect outfit and the weather can come – whenever and however!